Bluestone’s Belle back on Site! Hello! I’m Lucy and I’m so excited and grateful to be taking on the role as Belle in Bluestones pantomime Beauty and the Beast. Having worked in Bluestone as one of the entertainers for the past 3 years I know the park inside out and to have the opportunity to now perform in the pantomime really is the best feeling in the world! 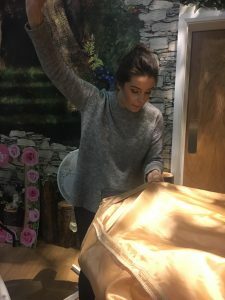 The first pantomime I ever saw was Cinderella, I remember the feelings of wonder and excitement and always knew I’d love to play a principal girl, pantomime is such a feel good medium and makes audience and actors feel the magic of Christmas. Through my role at Bluestone I work closely with children and the younger guests at the resort to I completely understand how exciting these magical experiences are for them. It is definitely the best part of the job! So as Micheal has previously explained we now have a few days off to recharge the batteries! It’s been an exciting, challenging rollacoaster of a few days, from testing the first lighting cue to sowing on the last button it’s been a blast and I can’t wait to share our hard work with our bluestone guests. We have come a long way since our first rehearsal tripping over our lines and costumes to the polished performance we will present to our guests on opening night. It’s been very hard work but incredibly rewarding and I have learnt such a lot from Mark, Nia and the team. I even feel like some of Belles personality is rubbing off on me yesterday I even picked up a book and settled down for a little read to truly relax. 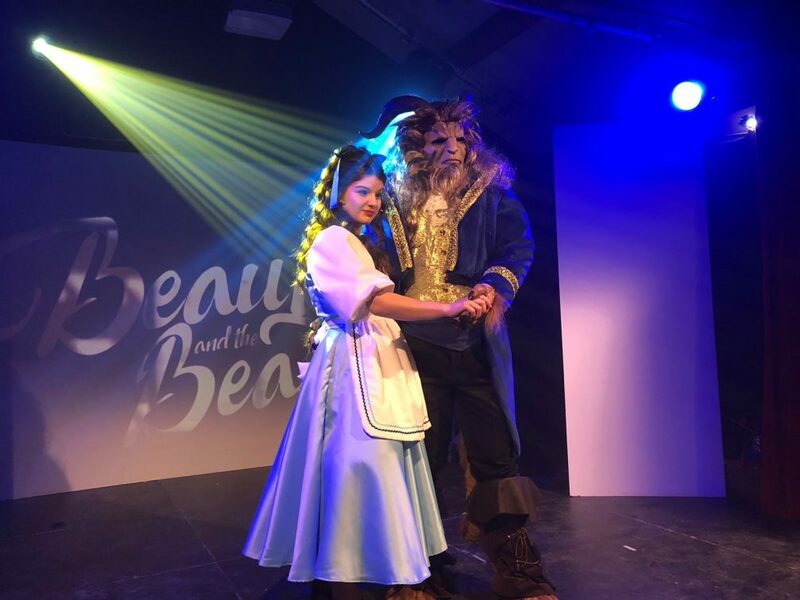 Belle is such a good role model for young girls today as she is not afraid to break the mould and be her own person.. I’m really proud to be playing this character and being a role model for all of our younger audience members! Quick, Come On! Get out of bed! It’s time to rush back to Bluestone instead! 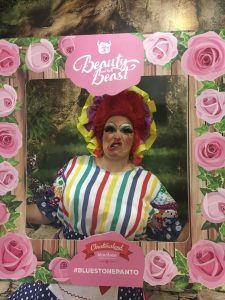 You’re personally invited to Panto by Belle!